While the Exodus Crash Nightfall Strike was originally meant to be in the Destiny 2 Nightfall Strike rotation on October 17 through to 24, it was switched out on October 18 due a bug in the mission. 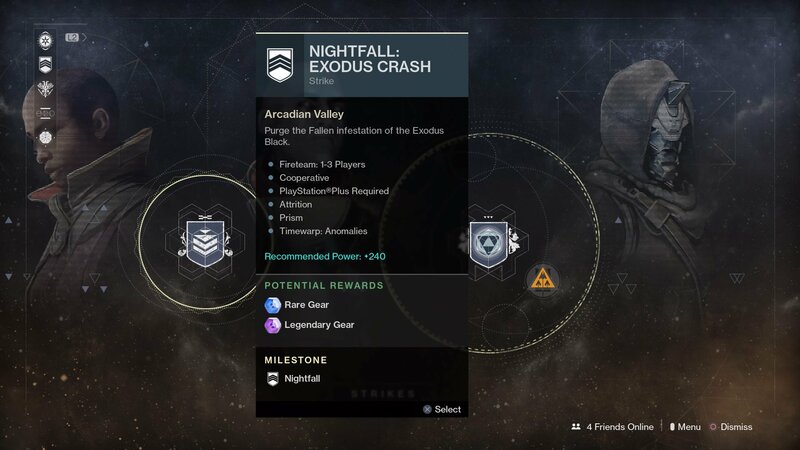 Nevertheless, we've still got this Exodus Crash Nightfall Strike guide in order to help you through the Strike, the next time it comes back into the rotation. As soon as you start out the Exodus Crash Nightfall Strike, the clock is against you, as you've probably come to expect by now after seeing the Timewarp mod. The timer for this Nightfall Strike begins at 14 minutes, and the only way you can extend this timer is by jumping through any of the Rings that appear throughout the entire Exodus Crash Nightfall Strike. The actual Rings themselves are impossible to miss, appearing in a fairly generous size for any of your Fireteam to jump through, and as soon as you've jumped through one, you'll have bought your Fireteam an extra 30 seconds to complete the Exodus Crash Nightfall Strike. It's paramount that you keep an eye out for any Rings scattered throughout the mission at all points, as at any points where you have to defend Ghost or wait in a certain area for a while, you won't get the opportunity to be searching for Rings and extend the mission timer. Elsewhere in the Exodus Crash Nightfall Strike, the Prism damage mod makes yet another return. This mod has actually been in every weekly Nightfall Strike in Destiny 2 at the time of writing, so it's probably a fairly safe bet to see it return in the future for every new Nightfall Strike that Bungie puts out. In case you aren't familiar with the Prism mod, it basically works as a damage buff for certain elemental weapon types. Whenever you see a notification on the left of your screen that you're 'surrounded by Solar energy', or 'Solar polarization' is taking place, this means that Solar damage from your weapons is being amplified, so you'll need to switch to a Solar weapon. All other weapon types during the period where they aren't active will be penalized in damage, so you'll need to make sure that all three of your Fireteam members have a variety of elemental damage in their weapons. Thaviks the Depraved, boss of the Exodus Crash Nightfall Strike. With Thaviks, the Depraved boss, we estimate you'll need at least 5 minutes to take down this boss at the end of the Exodus Crash Nightfall Strike, since he can disappear for at least 20 seconds at a time, sending in a horde of followers so he can hang back. It's a difficult final fight for sure, but if you've passed through enough Rings throughout the Nightfall Strike, and if you stick together in this boss fight, then it shouldn't be too tough. Your fight with the Exodus Crash Nightfall Strike might be done here, but there are still many other Strikes to take on. 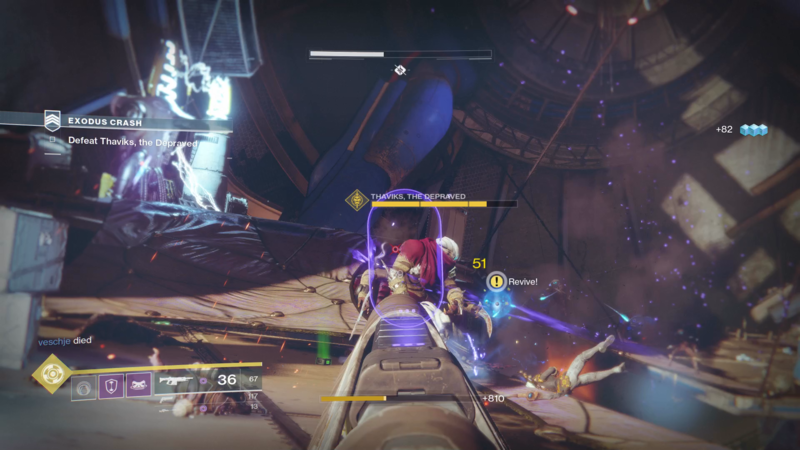 Head over to our Destiny 2 Strikes guide hub if you want help on how to tackle all of them. We've also got guides on how to get the Rat King in Destiny 2 and how to complete the Destiny 2 Leviathan Raid.